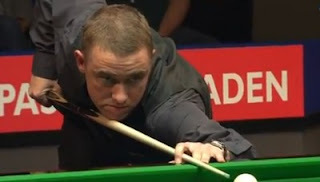 Stephen Hendry and Mark Allen moved to the last eight of PTC12 today in Munich. 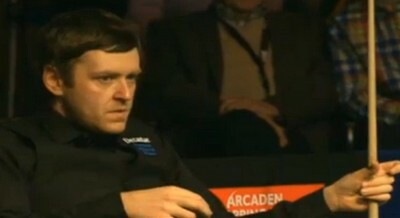 Ricky Walden kept his hope to knock O'Sullivan out of Top 16 alive by his win. Hong Kong's Marco Fu, who reached the quarter-finals of UK Championship last December was defeated by Hendry 2-4 today with 75 in the final frame to book his seat in quarter-finals of the event. 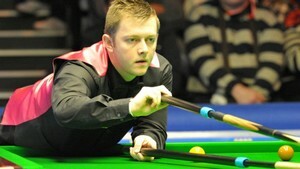 Hendry will face Michael Holt, a winner in the decider against Marcus Campbell. This was his fifteenth victories out of the last sixteen matches he have played in the PTC series. Mark Allen, the runner-up of UK Championship beaten Mike Dunn by 4-2 from 2-2 with 100. The Pistol awaits to play the winner between David Grace and Martin Gould in the final eight. PTC5 winner Andrew Higginson defeated Kurt Maflin 4-2 from Norway with 117, 70 and 56 to play winner between Stephen Maguire and David Gray. Ricky Walden kept his hope of getting into the Top16 at the coming cut-off point on Monday alive by winning 4-2 over Xiao Guodong today. If Walden wins the event, he is going to replace Ronnie O'Sullivan to become number 16 on Monday.